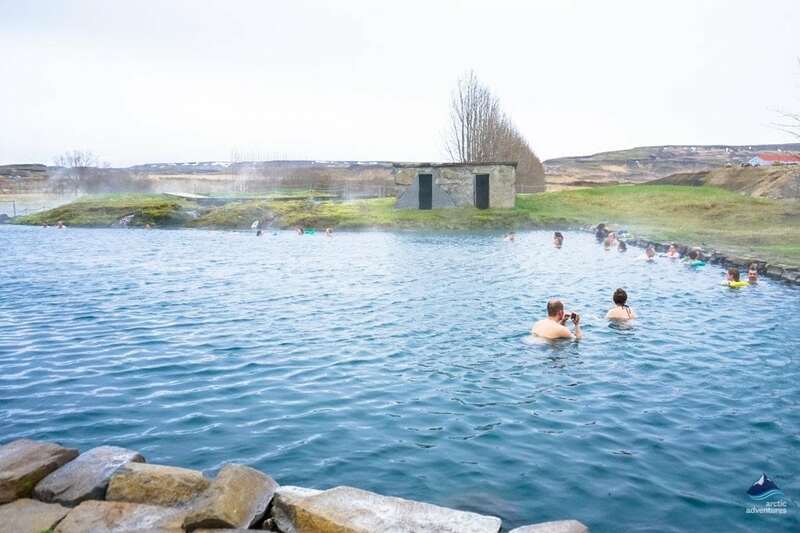 Relax in the geothermal hot pool located just off the Golden Circle in South Iceland. 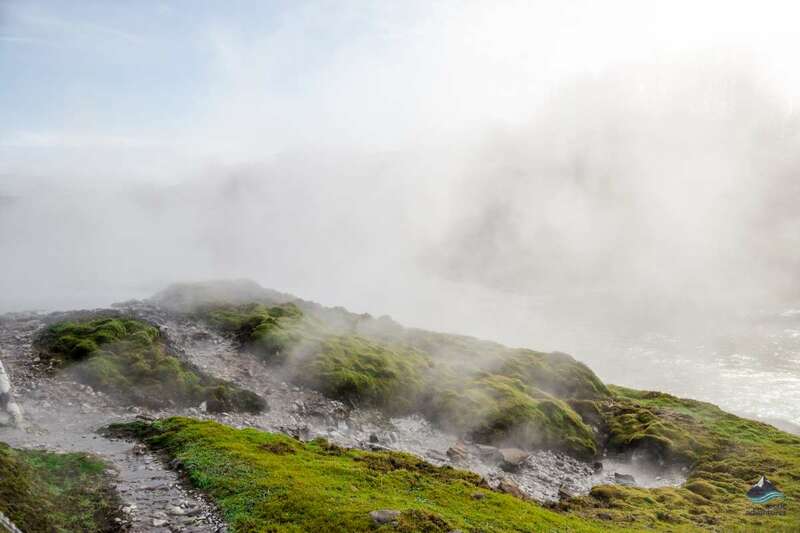 The perfect add-on to your day of sightseeing. 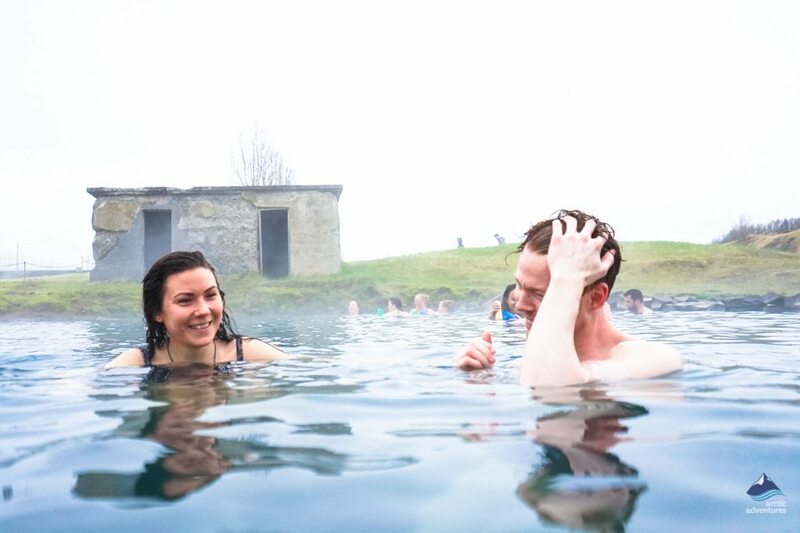 Enjoy a nice warm soak in the natural hot pool. 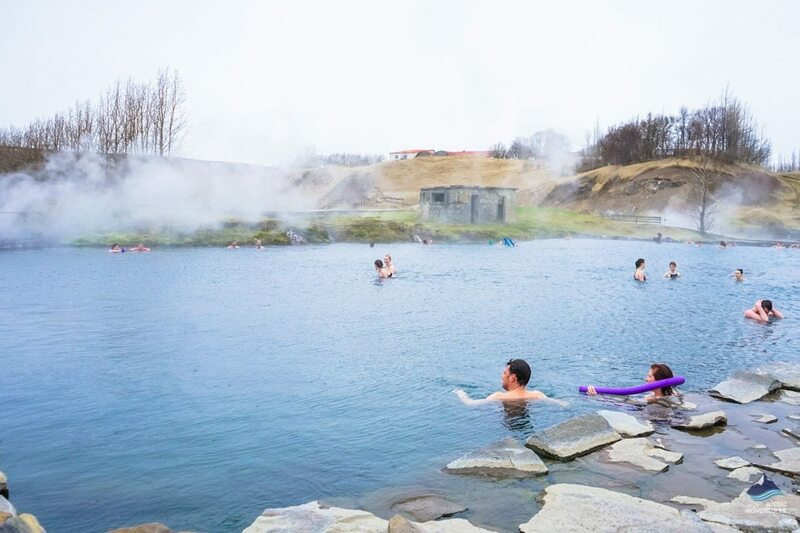 The Secret Lagoon (Gamla Laugin) is a temperate geothermal hot spring located just off Iceland’s famous Golden Circle Route in the South of the country. 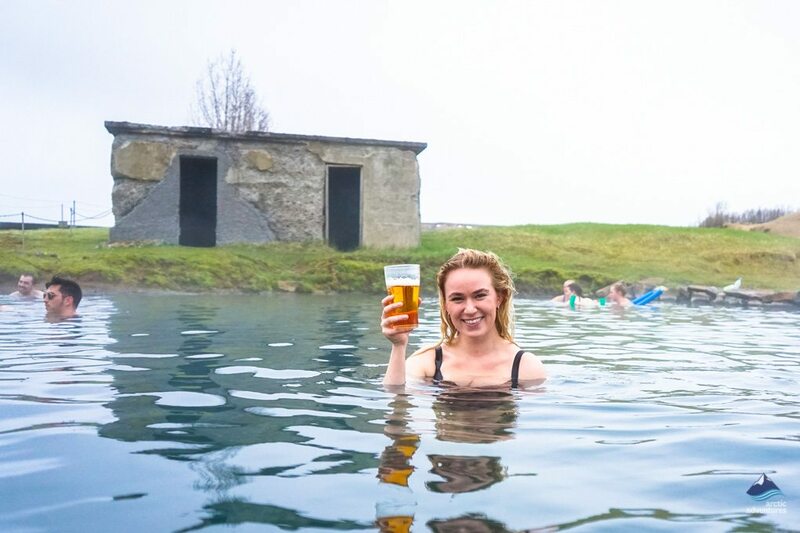 This makes it ideal for a relaxing, replenishing soak after a hard day’s sightseeing, amidst some truly magnificent scenery. 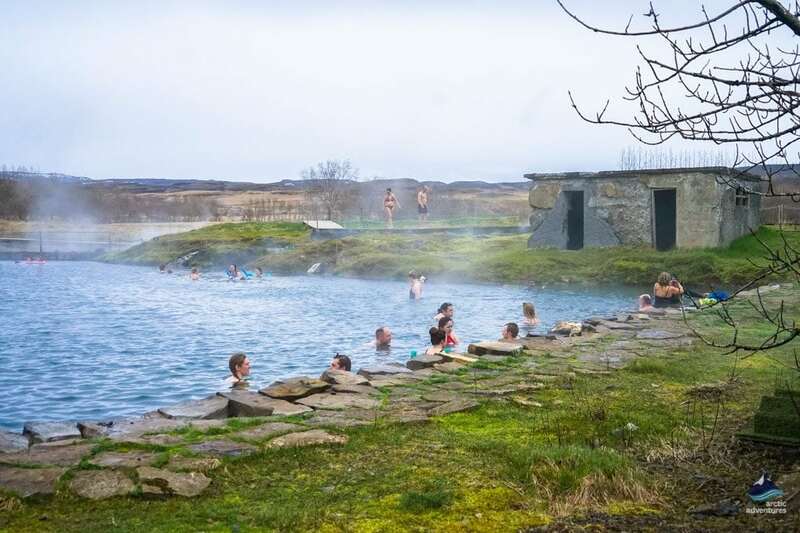 It is generally not as busy as the Blue Lagoon, meaning that it offers a more peaceful experience. 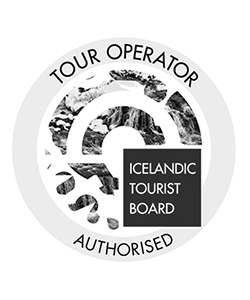 We recommend combining it with one of our other amazing tours like the Golden Circle Route, but it works well in isolation too. 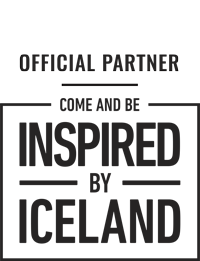 Stay as long as you want in the lagoon! 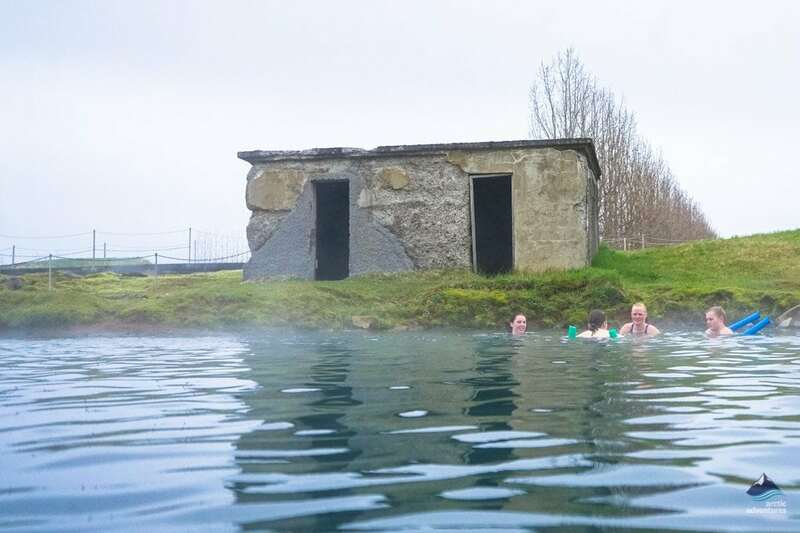 The Secret Lagoon is located in the picturesque village of Flúðir and has been in use since 1891 making it the oldest swimming pool in the entire of Iceland. 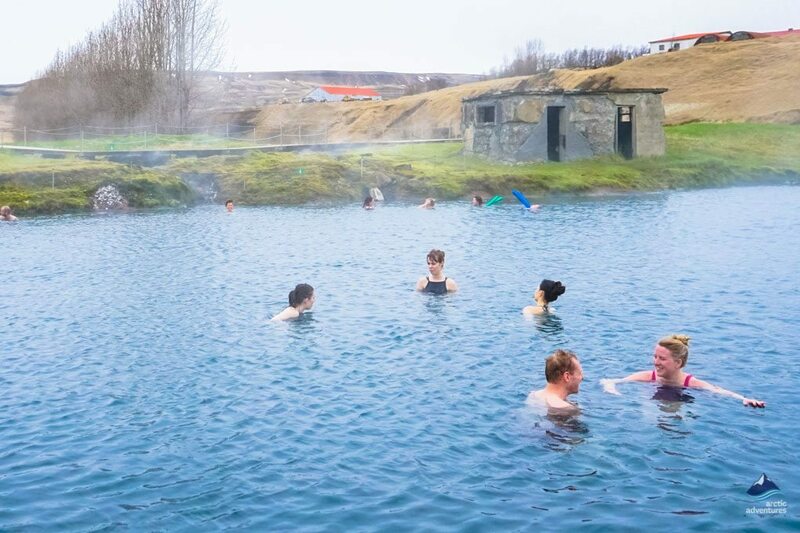 Its waters are volcanically heated by lava flows deep beneath the earth and sit at around 38-40 degrees – the perfect temperature for bathing. 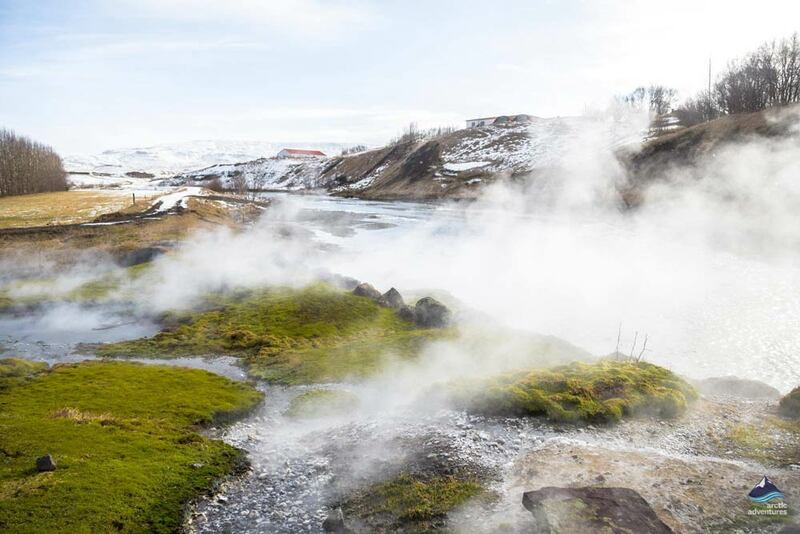 It is also surrounded by truly stunning natural scenery, including rolling green fields, bubbling mud pools and a teeming geyser that spews boiling water into the air every 5 minutes or so. 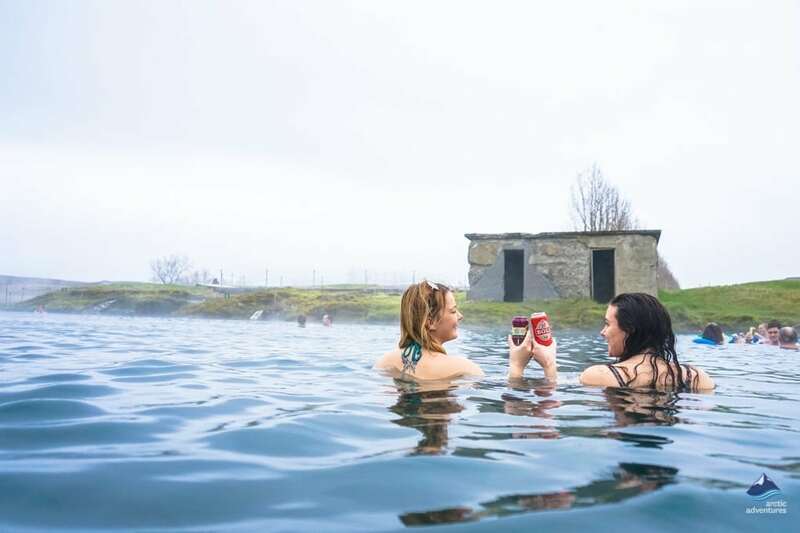 The facilities around the Secret Lagoon are modern with brand new shower facilities for both men and women and a bar selling traditional Icelandic food and drink, where visitors can purchase a refreshing drink that can be drunk in the warm waters of the lagoon itself. 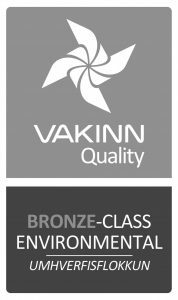 Relaxing in one of the world’s finest natural spas is an amazing experience and we hope you can join us there! 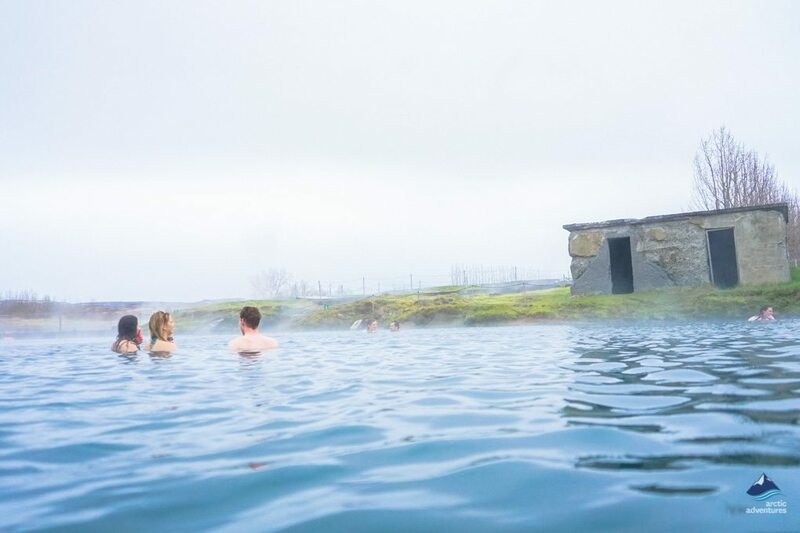 Location: The Secret Lagoon is located on Hvammsvegur road in a small village called Flúðir. 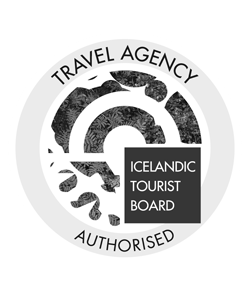 It’s just off the Golden Circle, approx. 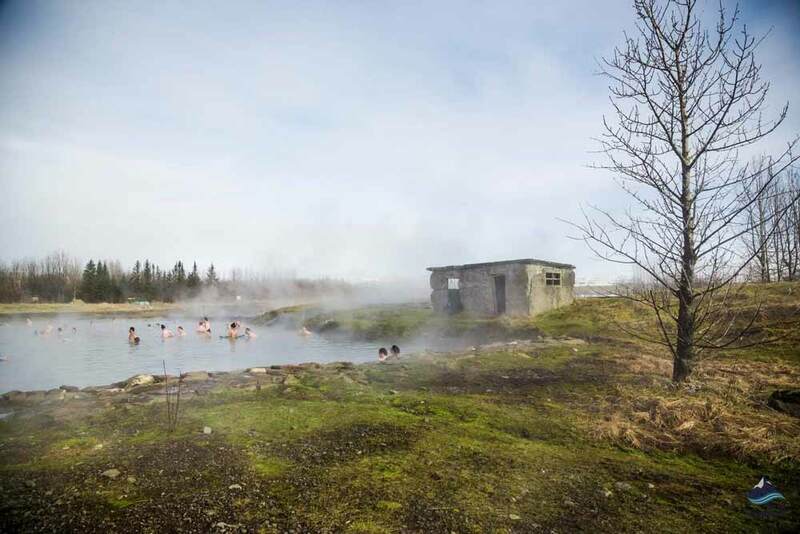 20 min from Geysir, which makes it a perfect add-on to your day of sightseeing. Groups: Please contact us by e-mail when booking for a group of more than 7 people to check for availability.